After creating a history with their products, now it seems that Apple is moving towards networking also. They are building network of Internet infrastructure that will be capable of delivering large amounts of content to customers. Apple is going to create its own content delivery network (CDN) to assist with the abundance of media streaming through its system. The plan would mean customers of iTunes and iCloud could see improved service, a Wall Street Journal report said. Akamai and Level 3 manage Apple's CDN now. The majority of its distribution though its own data centers provide a base for distributing content and data storage. 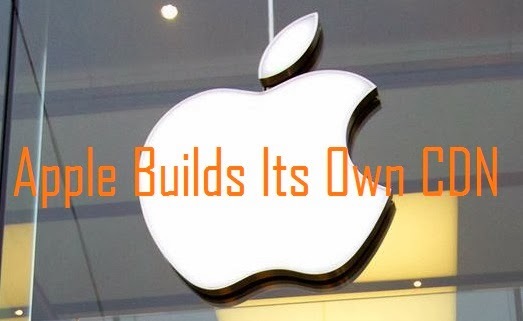 If Apple maintains its own CDN then they will definitely see customers experience, improved squality and the reliability of services offered by the company. As a result, the apps, movies, music or documents would be downloaded at a higher speed. Another advantage is that if they remove third parties from the service then you can expect delays, less money spent and improvement in communications very quickly. It might be little bit late entry for Apple in the same space where other major players including Google, Netflix and Facebook are already offering the service. Either from customer's point of view or even Apple's. both will be benefited by this move. Apple will have more control of how its content is delivered regardless of the fact that wherever their customer is located as they are going to maintain their own CDN.